The pattern of geometric shapes can radically transform the room, so you should choose such prints even for small objects and spaces very carefully and thoughtfully. 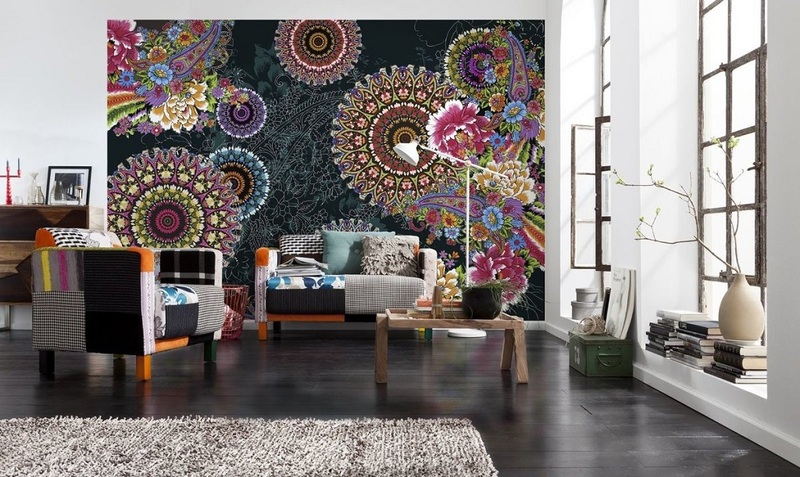 No matter how gorgeous the picture of fashionable wallpaper on a photo looks, in reality, it can be uncomfortable to live in a room completely covered with such wallpaper. Some figures on a large scale give an oppressive feeling, as in the photo below, others irritate, cause unpleasant associations, and others – on the contrary, calm, bring harmony into space. Strip – one of the most popular geometric patterns. Rosary and bright stripes on the walls will make the room elegant, festive, as in the photo, and the blurry and pale soften the effect of grandness, will look cozy and harmonious. The thin strip is perfectly combined with other prints and ornaments. 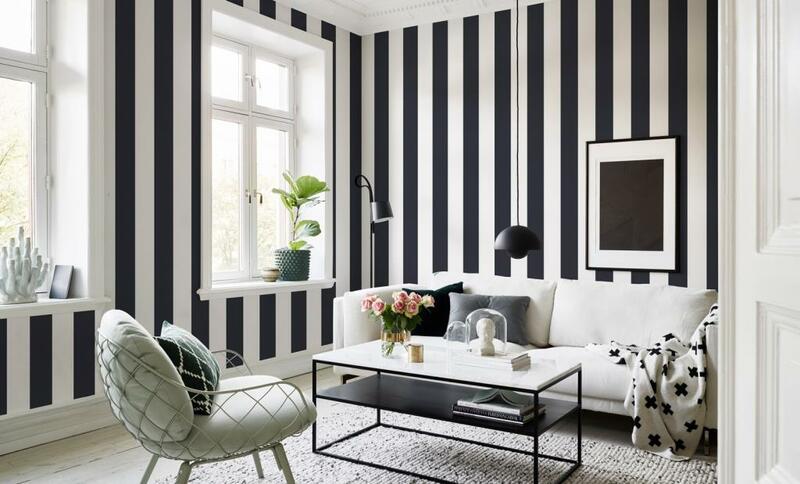 Vertical stripes help to hide the irregularities of the walls, fill the room with harmony, visually lift the ceiling. Horizontal stripes, on the contrary, will help to push the walls apart and lower the excessively high ceiling, giving volume to a small space. Geometric patterns in the form of squares, checkered print in the wallpaper, textiles fill the space with coziness and harmonies. The square symbolizes stability, evokes associations with the right world order, the right state of affairs gives a sense of self-confidence and tomorrow. Zigzags are a very hectic pattern, it is able to fill the room with dynamics, movement, reduce to zero the feeling of stagnation, boredom, everyday life. However, with zigzag patterns should be extremely careful; if you overdo it with such a print, the room will turn into a surrealist picture, and it will be simply impossible to stay in it for a long time. At the same time, broken stripes have many times enhanced features of the classic striped pattern. 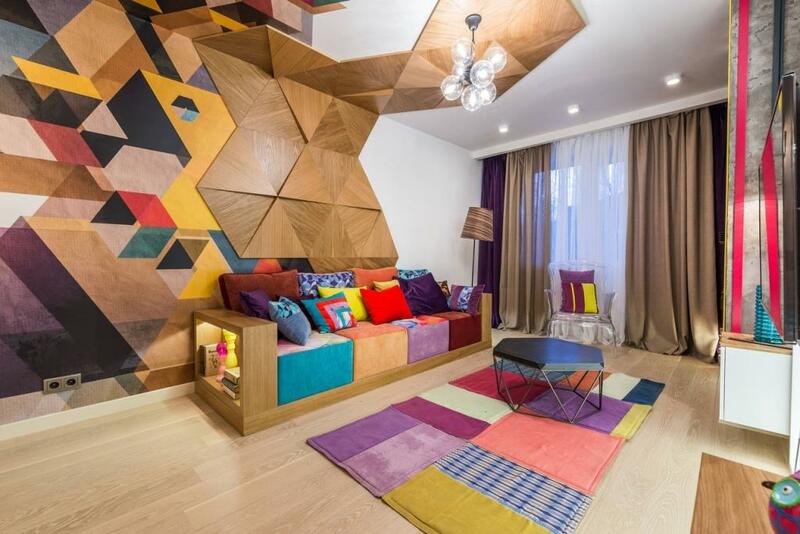 Vertical zigzags can visually raise the ceiling by 40 cm, in contrast to 15 cm in the presence of striped wallpaper. Zigzags in the interior should be used on small areas of the walls or as a pattern for the carpet. The brightest and aggressive print is black and white broken stripes, but if you make them colored, the overall feeling will be quite different. Patterns in the form of circles and ovals add to the interior a sense of calm and harmony, completeness. 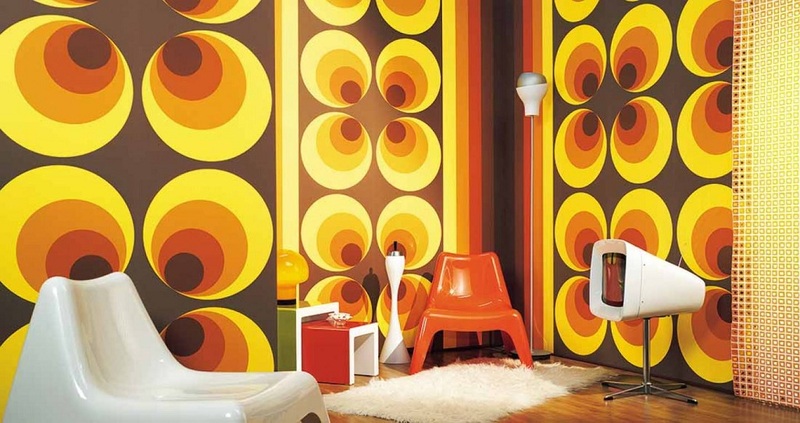 However, to saturate the room with round objects and patterns is not worth it. So, patterned wallpaper on the walls should be trimmed with furniture of strict rectangular shapes and vice versa. A round table, round carpet, oval frames of mirrors, pillows, padded stools in combination with polka-dot textiles and prints on the walls are a clear search. The pattern of rectangles is perfectly combined with round and square shapes. If the room needs to be given a dynamic, fill the interior with expression, then a color print from rectangles is used, and neutral and pastel shades are suitable for creating a feeling of peace and balance. Thickets of all rectangular patterns are found in flooring, drawing parquet, carpet, laminate, ceramic tile, wooden boards. Octagonal geometric shapes are often used when creating interiors in an oriental style with a reference to the feng shui technique. In other variations, honeycombs or octahedrons are found in the decoration of walls – in the form of drawings, hanging shelves, stickers, and ceramic tiles, plain or with patterns. Geometric patterns in the form of honeycombs help to give individuality to the interior, highlight accents emphasize some zones or furnishings. In what styles of the interior are geometric patterns appropriate? 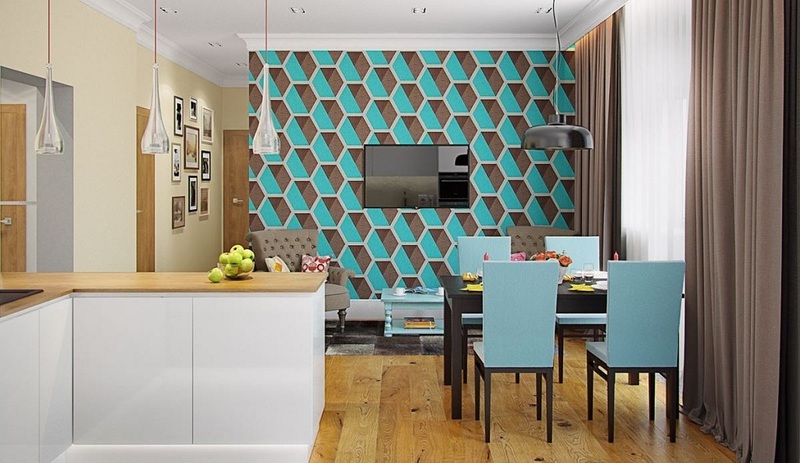 Different geometric prints and designs are used in different types of interiors. Stripes are typical for classic and retro, and in modern design styles, any figures and their combinations are appropriate. 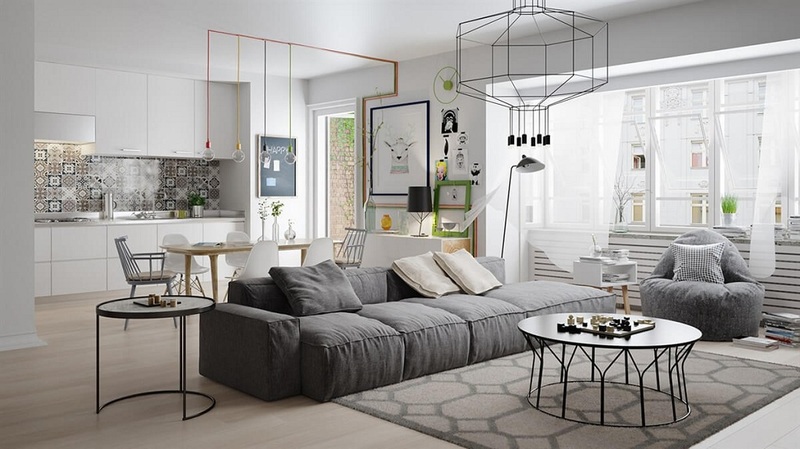 Very often, various interior stickers, accent walls, and textiles with geometric patterns are used by designers to decorate apartments in high-tech style, loft, eco, minimalism, pop art, in the Scandinavian direction. In addition to the decor and wall decoration circles, stripes, zigzags are present in textiles, the form of furniture, lamps. In ethnic styles, geometry is expressed in typical ornaments, murals, embroidery, and other elements. Unique properties of geometry: how to use them? With the help of properly used drawings from circles, zigzags, stripes, squares, you can make a lot of magical transformations, though this is real art. As already mentioned, with the help of geometric patterns you can visually add rooms volume, push the walls apart or lift the ceiling. 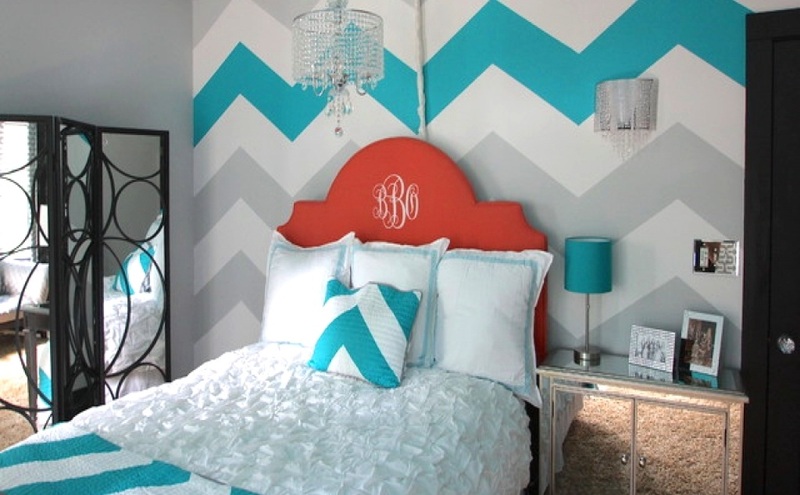 So, vertical stripes and rhombuses will be an ideal pattern for wallpaper in a room with a low ceiling. A narrow, elongated room will change for the better the transverse stripes on the floor, short walls or a diagonal pattern on the floor covering. To increase the wall height will help geometric pattern, seamlessly moving from wall to ceiling, and the colorful pattern on the floor will distract attention from the wrong planning of the room. Geometric accents are used by designers to refresh the interior, set the mood, dynamics, update and fill it with new colors. A print of circles, stripes, honeycombs, and rhombuses will help to zone a room, select an object that is significant for the owners, or simply decorate a wall or a part of it. The easiest way to make fresh notes in any interior, changing textiles. 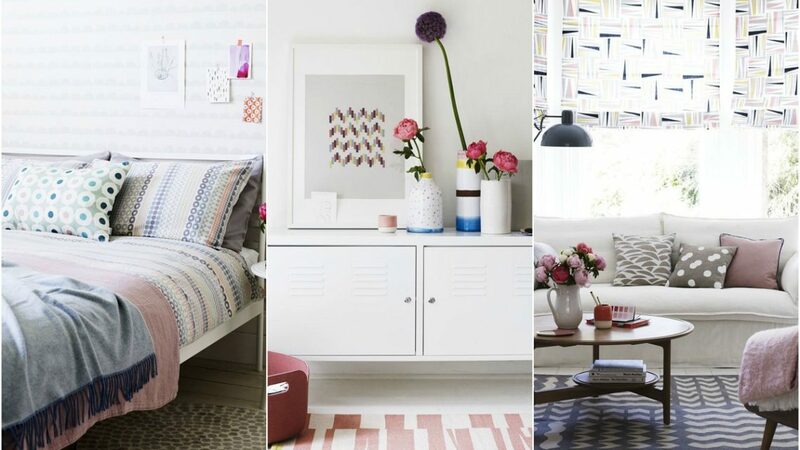 Pillows, curtains, carpet on the floor with a geometric print will refresh the room and cheer up its owners. 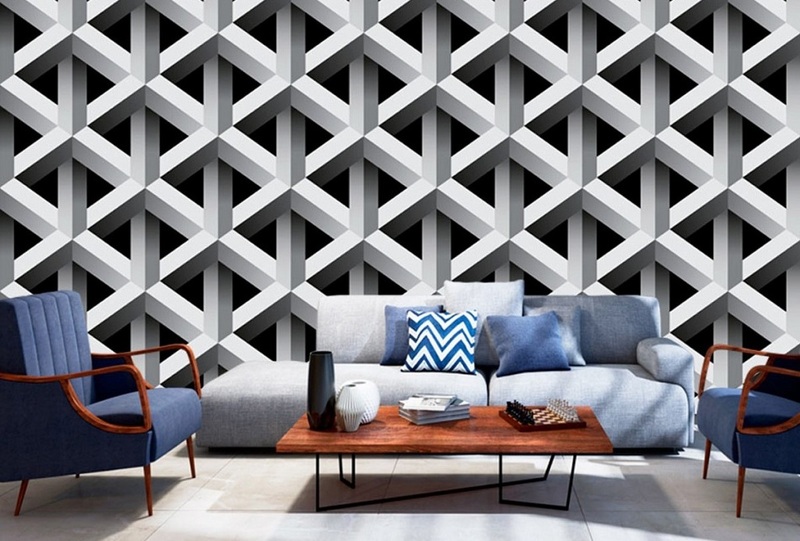 In the design of the walls, geometric patterns can be presented in the form of original wallpaper, painting (using simple masking tape can create stunning patterns), special stickers, paintings. Original and stylish look volumetric 3D-wallpaper, as in the photo below, and the tiles of different shapes and colors in the bathroom, in the kitchen, in the hallway. The furniture can be decorated with patterned plaids and decorative pillows, or you can immediately purchase a couple of bright striped chairs, a padded stool in a diamond or a sofa with a beautiful abstract pattern. In the bedroom, the leading role will be played by a bedspread or bed linen, a carpet on the floor. Decor objects are not worse than textiles can decorate and transform any room. These can be flower pots or vases with an original ornament, a full-wall picture in the spirit of abstract art, a mirror of individual elements in the form of honeycombs, figured candlesticks, frames for photos and paintings, and much more. Recently, lamps of various geometric shapes, transparent and solid, openwork, colored, black, gold, chrome-plated, which look great in any modern interiors and will become an excellent complement to the geometric patterns in the decor, have come into fashion. 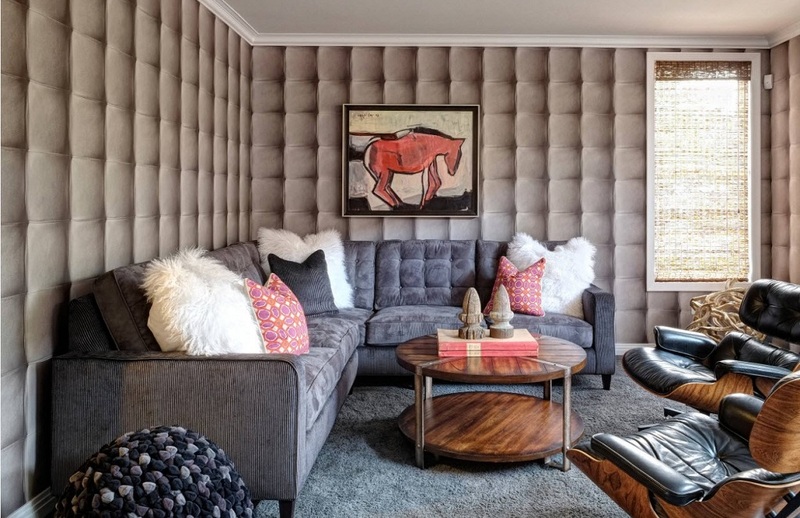 The main rule that should be followed when designing living quarters is that a bright print in the form of geometric patterns should be dosed out, using in small areas – in the form of an accent wall behind the sofa, at the head of the bed, in a pattern of carpet or curtains. How to combine patterns of geometric shapes? In this case, designers offer several basic techniques. So, you can combine a monophonic background with geometric prints: calm, neutral walls will balance the variegated furniture and textiles. Squares, rhombuses, stripes, and circles are perfectly combined with floral patterns, both in textiles and in decorative items of interior and upholstery of furniture. A combination of different types of geometric patterns is allowed, but at the same time, they must be made in the same color scheme and not be beaten out of the general palette of the room. 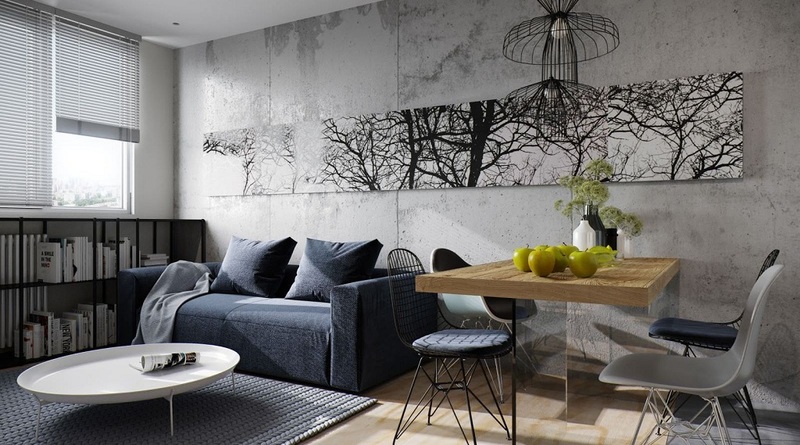 If you decide to diversify the interior of the apartment with accessories with geometric patterns, place them in such a way that they indicate the composition center of the room. To accommodate a small area, one such “oasis” is enough, and in the spacious living room, there are several corners. Start with small patterned objects, similar in color and pattern or similar in shape, but with a different print. Good luck in creating a cozy and beautiful interior! How Can Millennials Retire Early?